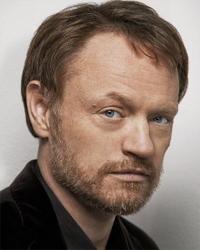 Jared Harris is the son of the late Richard Harris. The British actor has appeared in such diverse films as I Shot Andy Warhol, Mr. Deeds, Sylvia and Resident Evil: Apocalypse. Harris also starred in The Curious Case of Benjamin Button and Sherlock Holmes: A Game of Shadows. Aug 14, 2015The Man from U.N.C.L.E.